The sports industry is no stranger to technology. In fact, in the heart of Silicon Valley lies the most high-tech stadium built to date, Levi’s Stadium, which hosted Super Bowl 50 just a month ago. You can your order food from your seat with the stadium app, hashtag your picture all the way to the big screen, replay the most recent fumble, and after the game send prompt feedback. Not too shabby. But outside of the stadium, technology has empowered fans more than ever before. The internet gives them instant “information gratification”—they can access detailed stats, video replays, and breaking news 24 hours a day, with just a few clicks and scrolls. Meanwhile, social media encourages them to share and compare, while mobile devices add a “whenever and wherever” dimension to every aspect of the experience. So how can sports teams jump in on these instantaneous conversations and engage with their fans? Teams and fans rely on each other with a virtuous cycle of give and get. Fans support the teams with their dollars, their enthusiasm, and advocacy while teams support their fans with information and exclusive benefits, not to mention entertainment. As individuals: At the end of the day, you’re marketing to individuals. So don’t group all of your fans into one segment. Each of your fans is on their own arc of the customer journey, and they demand to be treated as such with personalized and relevant content. To do this, you’ll want to be well versed on your fan’s stage in their journey, their individual preferences, history, relationship with your team, and more. Based on what they do: Beyond knowing your fans’ demographics, you need to understand their behaviors—what pages do they visiting on your team’s site? Do they tap on your push notifications? Do they read your emails? And how can you use these behaviors to inform the next channel they visit? Continuously over time: Fan interaction should not be a one-and-done situation. As your fans progress through their journey, your message should evolve to be appropriate for them. It’s critical that you work to maintain continuous conversations, and offer fans and potential fans relevant messages and offers across channels. Directed towards an outcome: Teams have goals—such as moving general ticket sales or moving single ticket sales to multiple season ticket holders and corporate box holders. Ultimately, these goals should help them develop a long-term relationship with their fans, an engagement marketing strategy encourages marketers to set goals and use communications to nudge fans toward it. This allows marketers to measure the impact of their programs and understand what is working and what is not. Everywhere they are: It’s no secret that the fan has moved beyond the TV screen: they’re in stadiums, on mobile devices, on social media, and on your app. Consider the entire dimension of the customer journey as you interact with them and present them with the most compelling message on the channel they’re on. Some teams have already stepped up their game and embraced marketing technology to enable them create a more authentic and engaging conversation with their fans. For instance, The Portland Trailblazers underwent an overhaul of their customer segmentation to be able to better speak to their fans. Vincent Ircandia, Senior Vice President of Business Operations for the Portland Trail Blazers, shared with Loyalty360 that they have learned more about their customers in the past two years than in the previous 20. With the help of marketing automation and the principles of engagement marketing they were able to better segment, communicate and ultimately win more fans while increasing their retention rates to a whopping 96%. And in a recent interview, the CMO of The Detroit Pistons Charlie Metzger revealed that they attract fans by first truly understanding their fans based on their lifestyles, creating products and packages that match those lifestyles, and being more segmented in their communications. 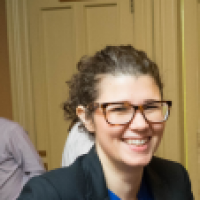 And by being more personal, but doing it at scale with marketing technology that can automatically segment based on behaviors and triggers, they were able to automate high-touch personalization that resulted in 30% year over year growth in ticket sales. A marketing slam dunk! Today, personalization is no longer optional, it’s absolutely required. In fact, segmentation, personalization, recommendations, and the inclusion of custom database fields in email copy drive 360% higher conversion than a generic email message with a personalized salutation, according to a Gleanster report. So stop selling to your fans and start engaging with them. 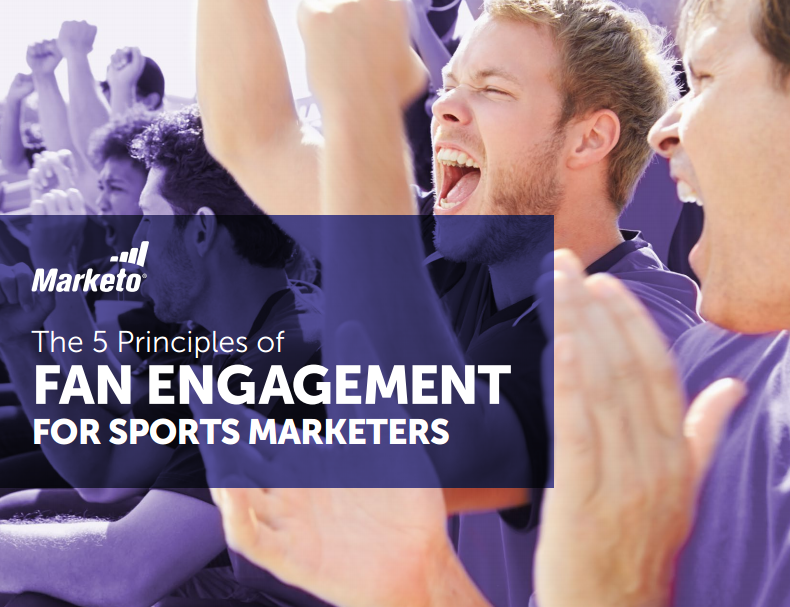 For more information on how you can implement an engagement marketing as a sports marketer, take a look at our ebook The 5 Principles of Fan Engagement for Sports Marketers.